Sensational showering at the touch of a button; Rise will add indulgence to any bathroom. 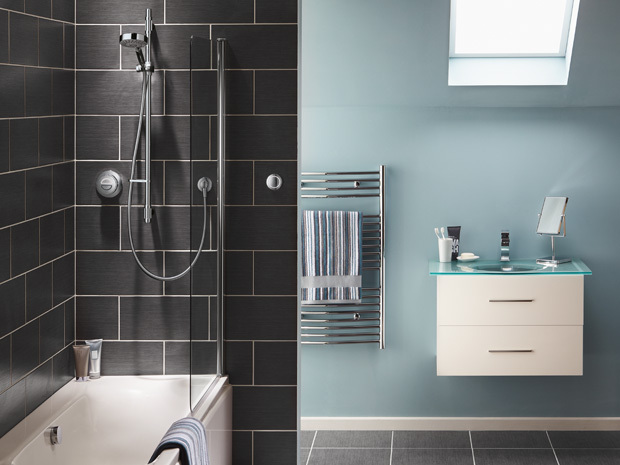 Our contemporary Rise shower features a 'shower ready' lighting display, which lets you know when your selected temperature has been reached and its time to step in. A range of smart water saving features means you can tailor your shower exactly to your needs. And for total indulgence, use your remote control to switch your shower on from outside the showering area.